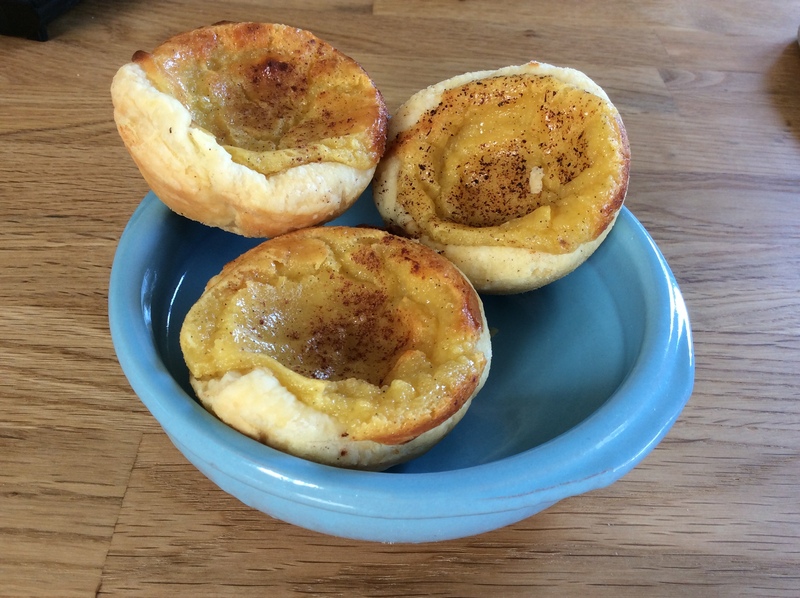 Portuguese custard tarts either flavoured with cinnamon or nutmeg. 1. 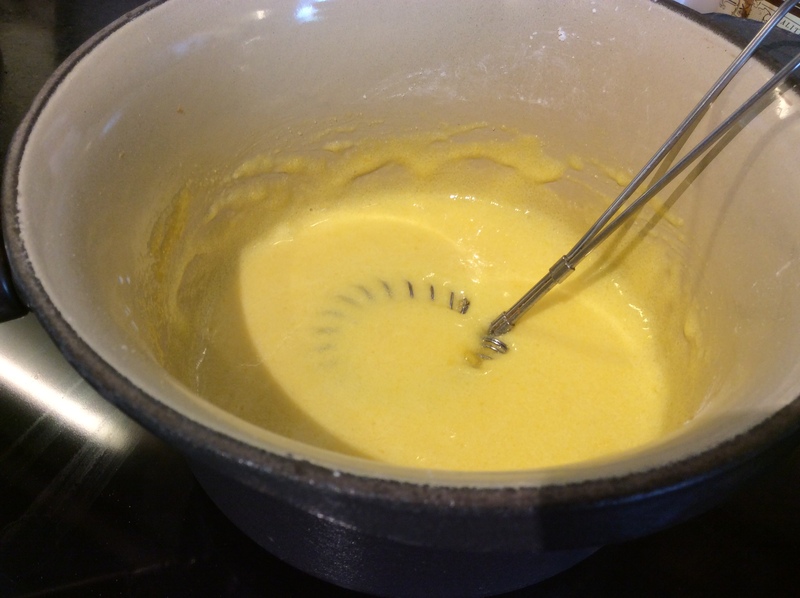 In a small saucepan (not on the heat yet) whisk together sugar, cornflour and egg yolks. 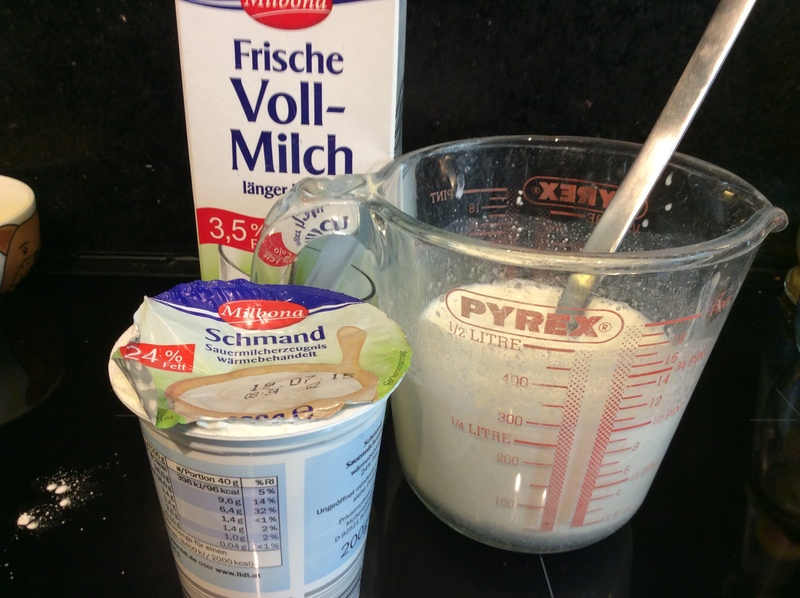 In a separate jug mix together milk and schmand/cream. 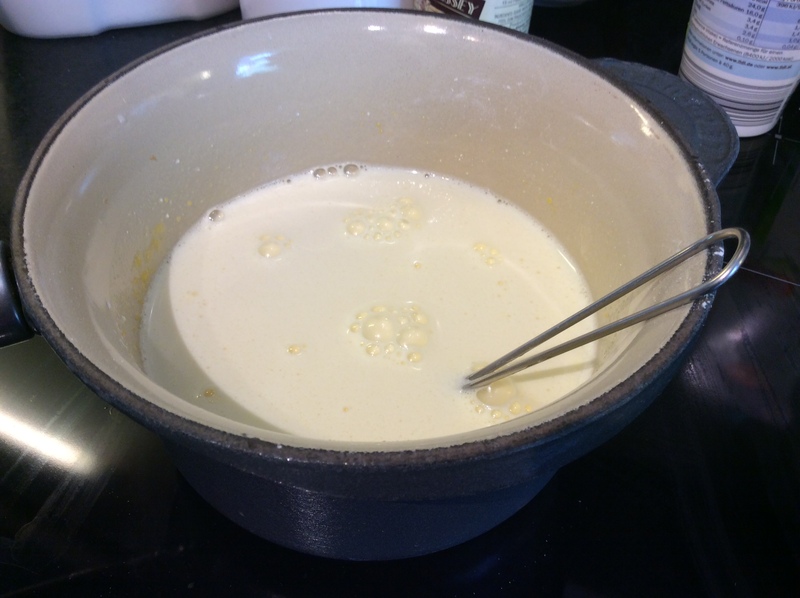 Gradually mix the liquid into the saucepan. 3. Grease and lightly dust a muffin and bun tin. 4. Preheat the oven to 180 degrees Centigrade. 5. 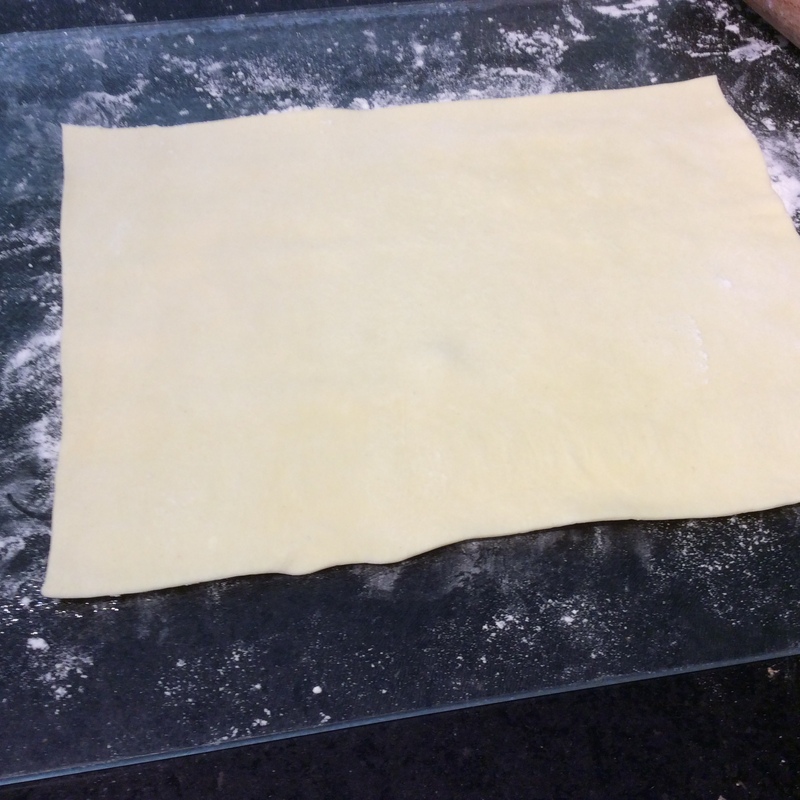 On a lightly floured work surface cut the pastry in half across the middle. 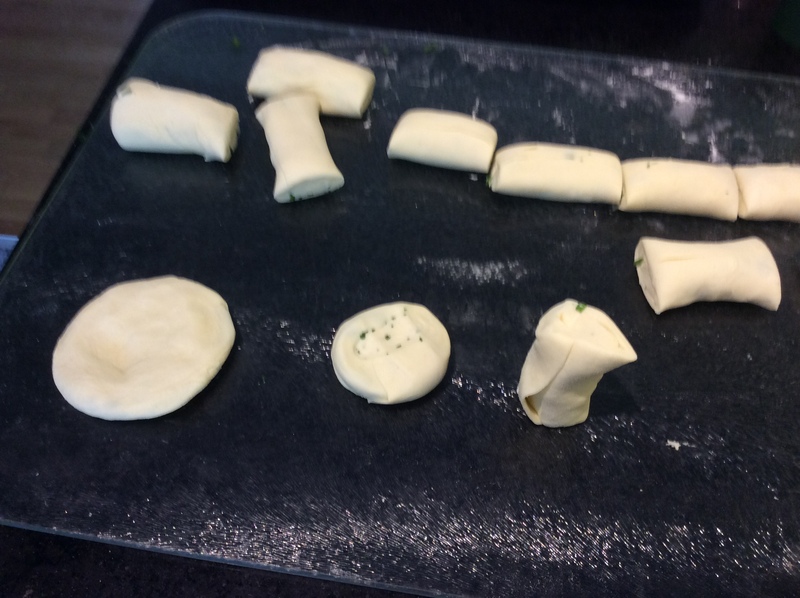 Roll out half of the pastry till it is a bit longer. 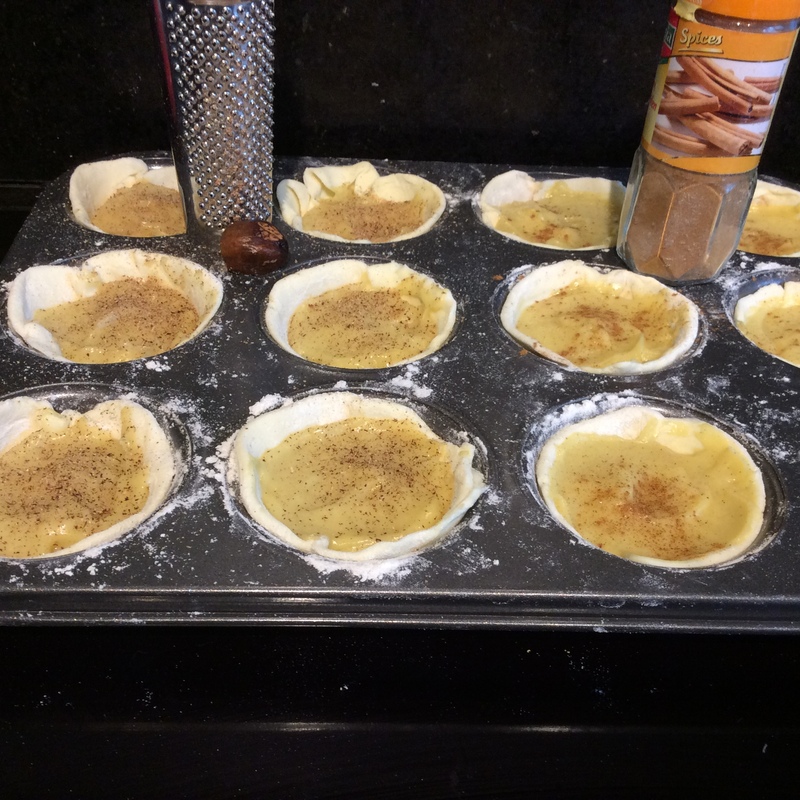 If you are making cinnamon tarts sprinkle some cinnamon on the pastry before rolling the pastry up lengthways. For the nutmeg versions simply roll them. 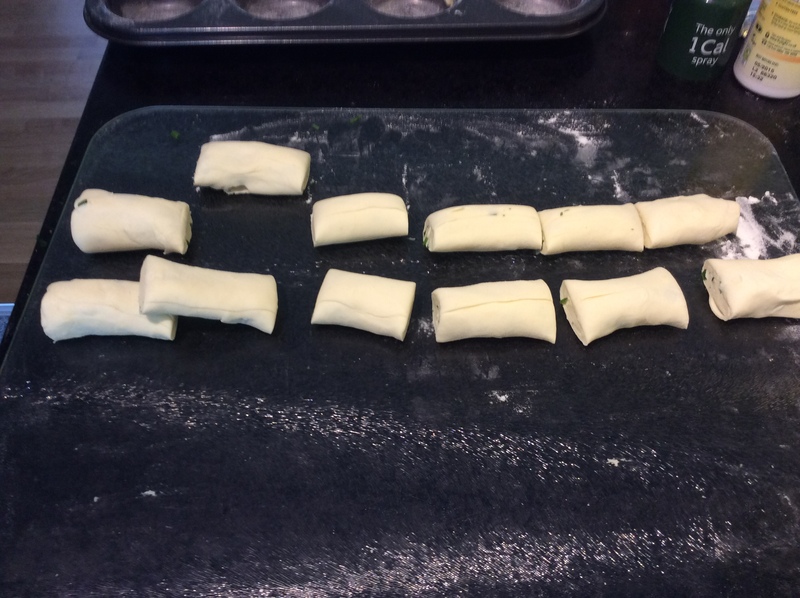 Cut the pastry into 6 equal pieces. Stand them up on their ends and press out into a circle with the palm of your hand. 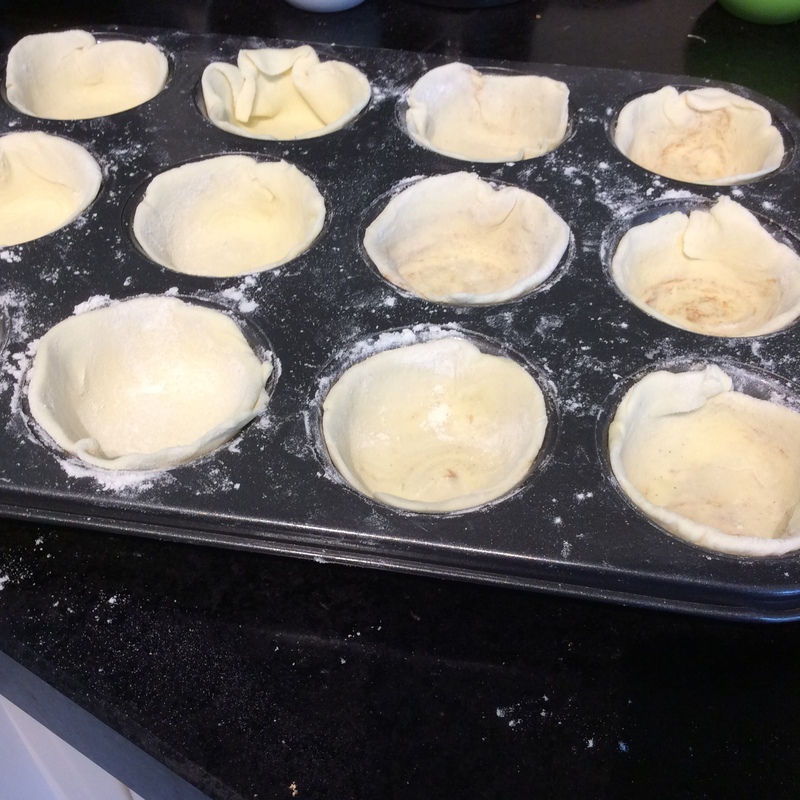 Roll out in a circle shape till they are large enough to fill the tin. Repeat with the other half of the pastry when you are finished you should have 12. 6. 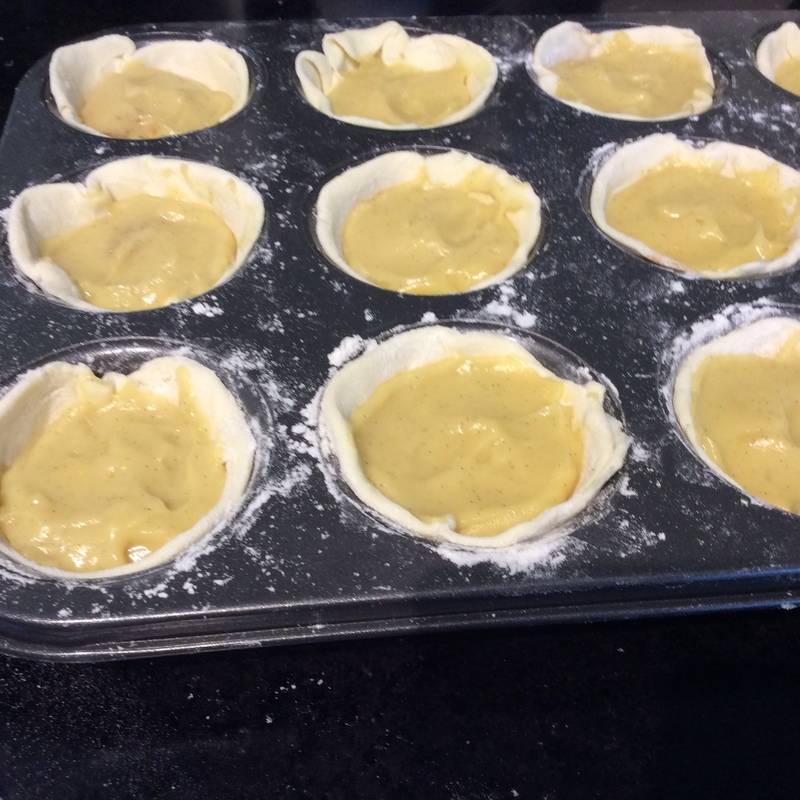 Fill the tarts with a heaped tablespoon of the custard mixture. 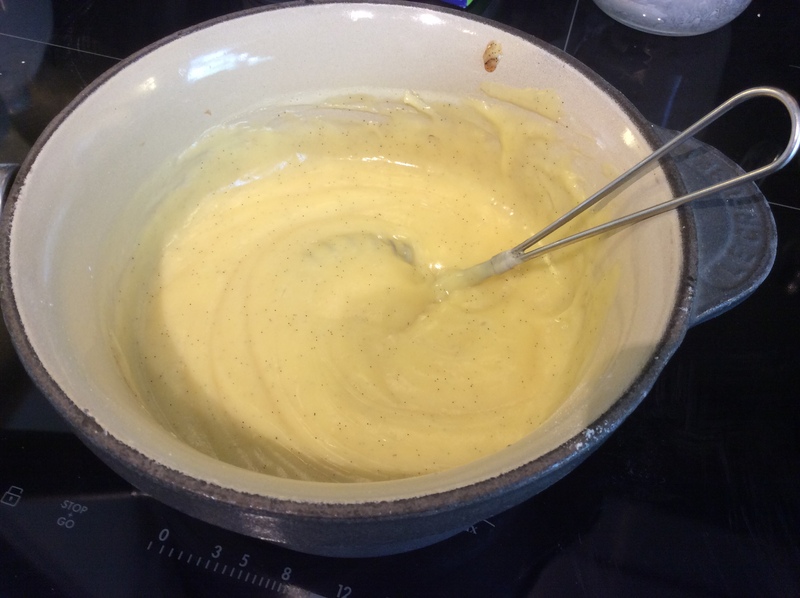 Level the tops of the custard with a knife. 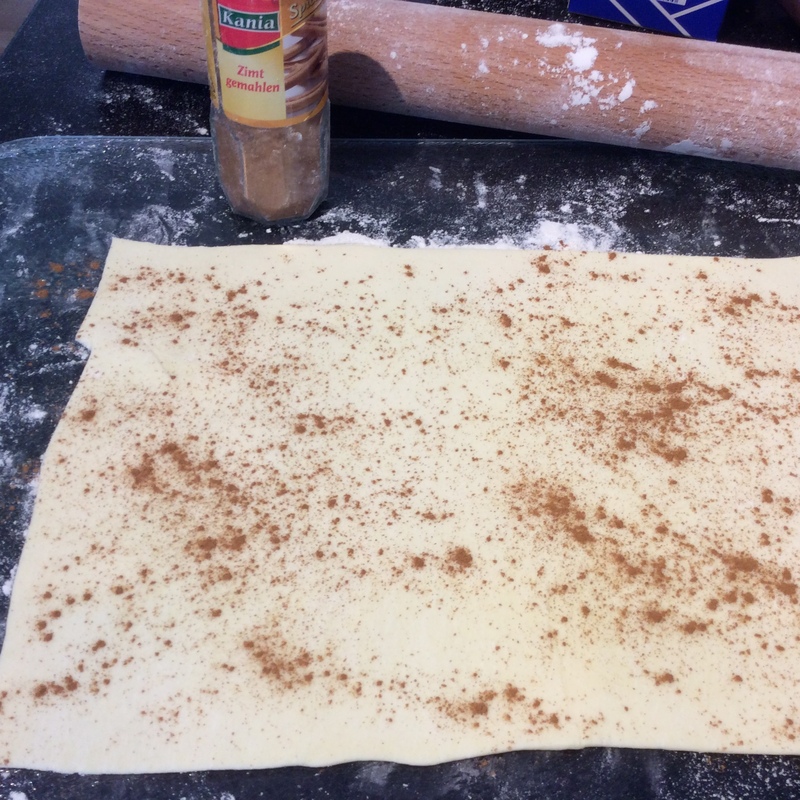 Sprinkle either with cinnamon or with grated nutmeg. 7. Cook for 30 to 35 minutes until the pastry is golden brown. 8. Leave to cool in the tins for 10 minutes before transferring a wire rack to cool. 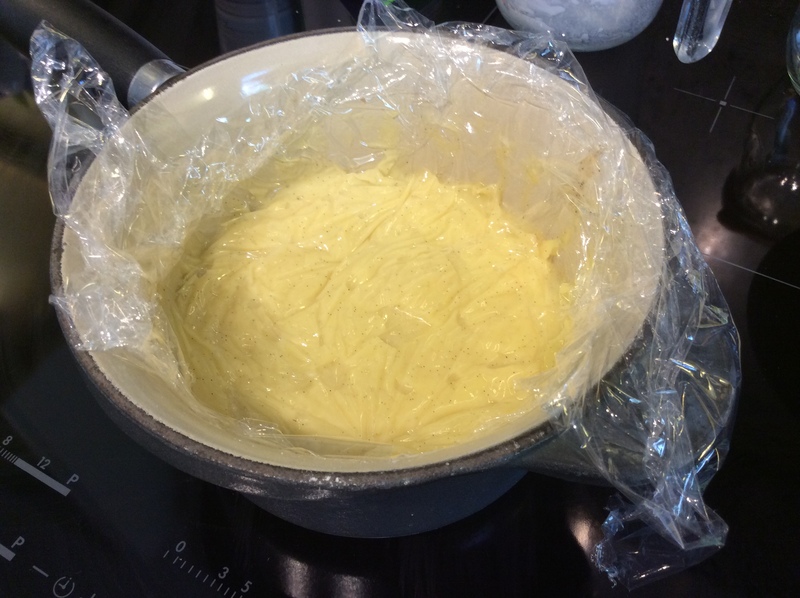 The custard filling will drop slightly on cooling. 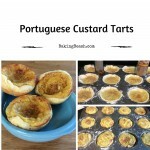 This is a simple recipe for Portuguese Custard Tarts. 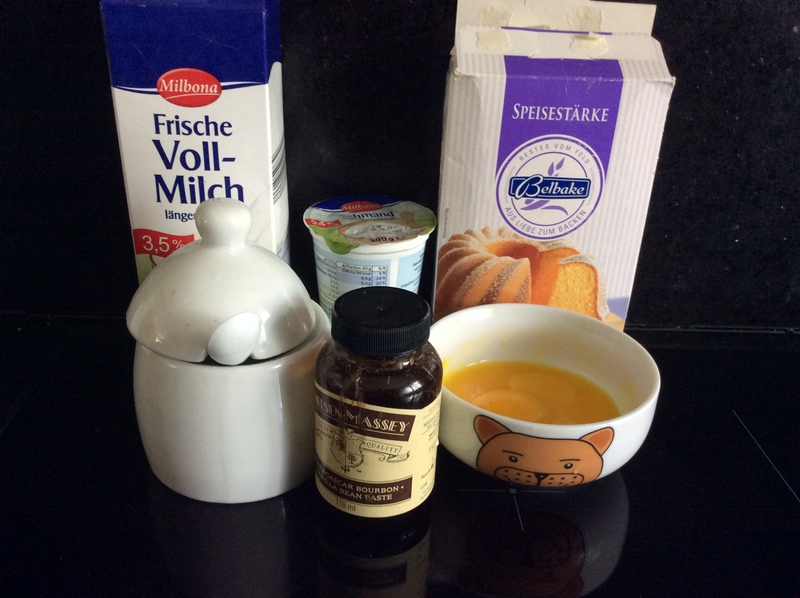 This is a great recipe for 3 left over egg yolks. 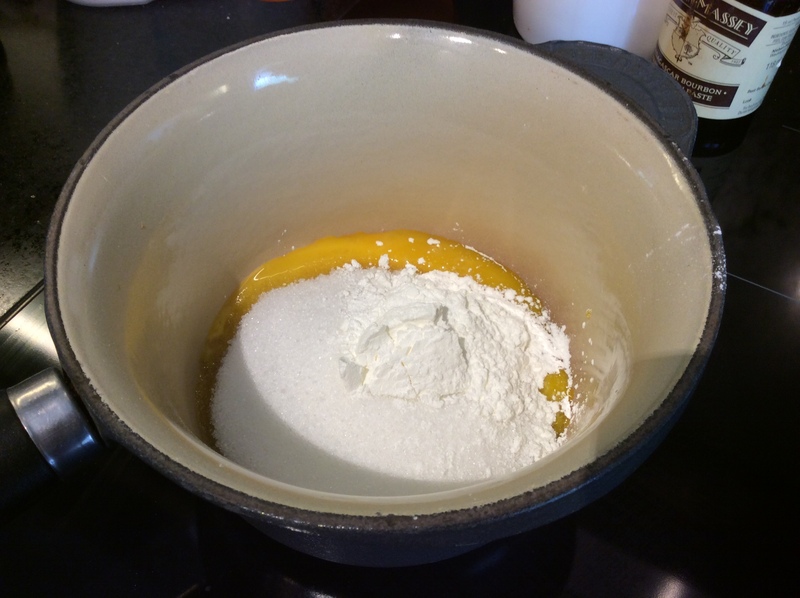 If you are making this one first the left over egg whites can be used in my pavlova recipe, just store in the fridge in a container covered with cling film. 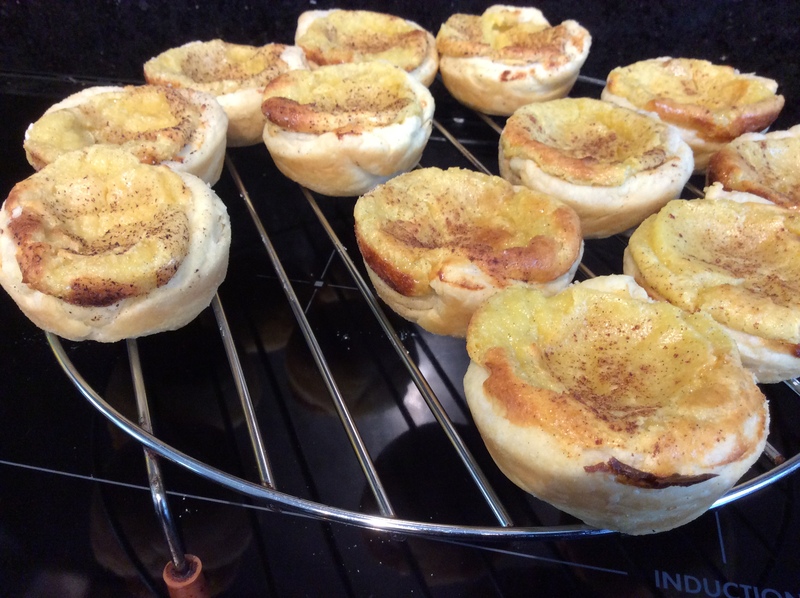 Portuguese Card tarts have become very popular in the UK due to restaurant chain Nandos. 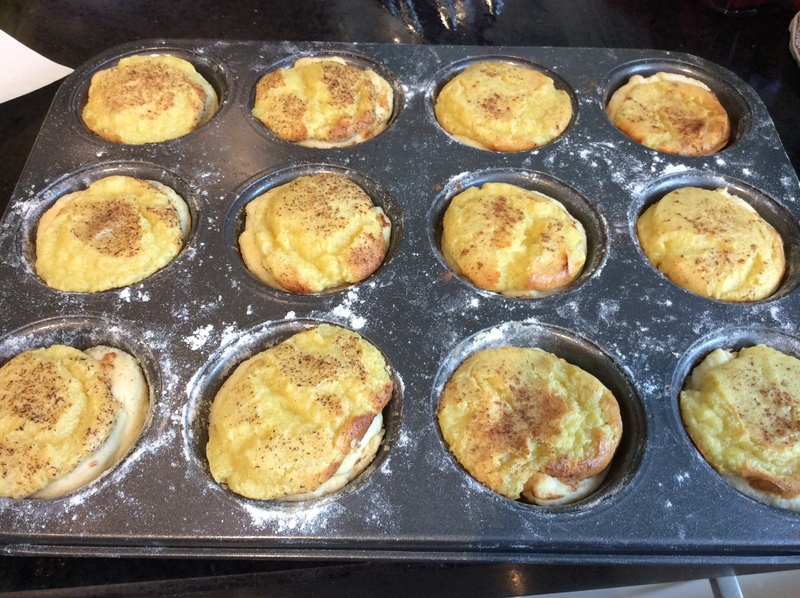 For this easy version use all butter puff pastry. I did half cinnamon flavour and half nutmeg. Nutmeg is usually the flavour used in a British egg custard tart. My favourite was the nutmeg ones, the other ones are great as well.